From the Greek words for blue hair, Cyanotrichite is a rare and delicate crystal forming a fine strands that puff up in radial balls. It has a hardness of 1-3 and a silky lustre. As you may have guess from the colour - it's a secondary copper mineral. 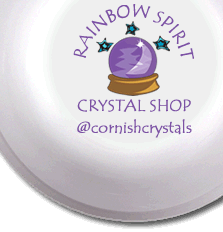 Key Healing Properties: This delicate crystal requires careful handling, as direct touch onto the crystal spheres would crush them, but can be used for crystal healing by cupping your hands over it as it sits on a safe place. Cyanotrichite is a stimulating crystal that boosts energy, sparks initiative and drives motivation. Active on the root and throat chakra, it expands capability to communicate, both expressing and receiving, and on all dimensions. On a physical level, it works on the adrenals, muscular disorders and for management of dietary restrictions.